Instagram ads are finally available to everyone. But…Have you tried to set up a campaign? Instagram provides little to no insight on how to get started. In addition, there’s no case study data out there to help you determine what’s working and what’s not. I’ll be using Instagram ads to promote our Instagram analytics and marketing tool (Social Insights). Our primary goal for the ad spend is to increase sign ups. Instagram ads run through your Facebook account. The first thing we need to do is sync your Facebook Page with your Instagram account. If you don’t have self serve Instagram ads currently in your power editor the only way to access them is through “Managed Ads” by an Agency that his been given access. There are a number of companies that you can do this through. If you want to avoid the pain I have gone through researching pricing, shoot me some info about your business here. 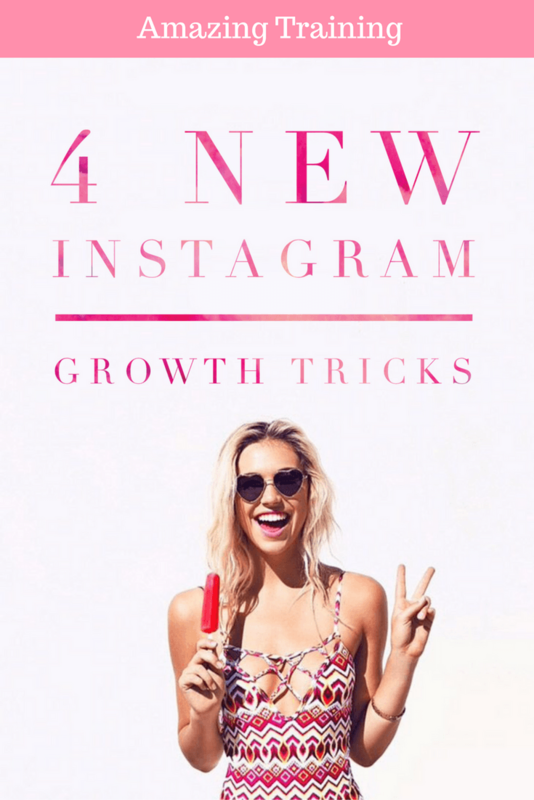 Instagram ads present a powerful opportunity because they’re a true native ad type. In other words, they fit in perfectly with the context of the platform – no sidebars, no interruptions. It’s important to understand the different ad types available to align them with our goals. Carousel Ads: Allows you to insert multiple images for users to scroll through. You can also link out to an external site which triggers on click. Image Ads: This ad type only allows for 1 image in the frame. Like the carousel ads, you can link out to an external URL. Video Ads: You can share videos (with sound) that last for up to 30 seconds. You also have the option to link to an external URL. *note at the time of this writing Carousel Ads are not live through the Power Editor for Instagram but will be shortly. Image ratio: May not include more than 20% text. Ad sets are where you define your goal, audience and spend. For the first ad sets I’m setting the goal as “clicks to website”. Normally on a campaign like this I would choose “website conversions.” This is not an option for Instagram ads at the moment so clicks to website will have to do. It’s important to test Ad sets and tweak them based off the results that you are achieving. Take a look at my two initial audiences then I will talk about why I decided to set them up this way. My target customer is someone who uses or intends to use Instagram for marketing purposes. I built these audiences to focus more on a B2B sale than a B2C sale. You can see from the interests I targeted exactly what I’m trying to do. Here’s what an audience build looks like in the Power Editor. I intend to build the exact same variation of ads in both of these ad sets. This will allow me to A/B test audiences, pick a winner and continue to test revisions. Here’s what the ad structure looks like so far. I may duplicate these ad sets to have the option to set separate daily budgets for video and image ads. I’m working with a brand new website for this case study. Because of that I don’t have enough traffic yet to create any lookalike audiences. Later in this live blogging experiment I will create audiences based off of website traffic, email lists, etc. This will allow me to compare how those audiences stack up compared to an audience built based on targeted interests. I’ve set up my Instagram ad account, linked the necessary Instagram accounts, explored ad possibilities and created my ad sets. Now I need to set up my initial ads. The plan is to run both image and video ads to get data from all ads sets. Currently in Power Editor you’re only able to set up single image ads and video ads. Carousel ads should be live soon and if they launch during this case study I’ll certainly run a few of them and add their results. I’m running 3 different image ads within each ad set I created – all 6 ads contain the same copy (the testing variables are the images). This will allow me to test which image performs best on Instagram then I can eliminate the other images and start testing different copywriting on the ads. Instagram is a visual network so you need to use pictures that will feel natural to a users feed. Next, I set up video ads. The plan is to run 2 different versions of the video ad both using the same video but different copy writing. This will allow me to A/B test my copywriting and buy me some time to finish another video. After setting up these ads I duplicated my two ad sets and put the video ads in their own ad sets to give me better control of my spend. At this point everything is set up and pending ad approval from Facebook. Instagram ads do take a bit longer than regular Facebook ads to be approved, however they do state that it should not take over 24 hours. The ads were approved and the results are in! Lets take a look at the data from each Ad Set. Clicks on video ads were so low its hard to say what copy performed best. I’m above my desired CPL but with a few changes it should be possible to hit it without issue. I think it’s possible to get my CPC on image ads into the $0.10 to $0.15 range. If I maintain the current 12% conversion on my landing page a $0.15 CPC will put me at a $1.25 CPL. If I can’t get my CPC that low I will have to bump the conversion percentage of my landing page. There are a few changes I feel I could make to get that higher. These first ads gave a lot of insight. With a little more tweaking I don’t think the $1.25 CPL is out of sight. Keep in mind this is without any lookalike or retargetting audiences yet as well. After narrowing down the best audience and media type, it was time to double down. I duplicated the Social Media/Business Audience, created 4 ads using the “Peace” & “Follow” Images and two different versions of copywriting. Creating a funnel for Instagram ads is a little different than your typical Facebook ads funnel. You’re advertising inside an app. This means that almost 100% of your traffic will be mobile or tablet based. I need to desperately up the conversion rate on my landing page. There are some major pain points on mobile that don’t exist on desktops. I had some of these pain points in my existing landing page. It was a 2 step optin with a popup and required a first name and an email address. The page also showed a full breakdown of the tool features and gave a lot of information. I decided to completely strip down the landing page and make it about as basic as possible. 60% of users were not viewing anything bellow the fold. No need to add that information at this time, while instead I can direct them to that information on the Thank You page. Here is a screenshot of the updated basic landing page. Facebook provides some really good ways to create targeted audiences. The more targeted your audience, the more efficient your ads should be. In order to take advantage of any of these features though, you must have a Custom Audience Pixel installed on your website. Give your pixel a name. There’s only one pixel per ad account, so choose a name that represents your business. Copy and paste the generated Pixel code to the <head> section of everyone of your website pages. I had installed this pixel on the Social Insight website as soon as it was created, at the end of September. This allowed me to create a Custom Audience in my Ad account of individuals who have visited the site and have a Facebook account. This Audience is small (1,300) but I know for the most part they are all individuals in my target demographic. A lookalike Audience will be a much larger Audience, Facebook generates an audience that aligns with the characteristics of my current traffic. Next, choose the size of your audience. A smaller audience will have more similarities with your source customer group. A larger audience will be less precise, but will offer you more reach. WE DID IT! I got my cost per lead down to $1.13 per lead. That’s below my goal of $1.25 CPL!! Here is a look at how the two Ad sets did individually. As you can see the Reach and CPM are a lot different in these two ad sets. I am running the exact same ads in these Ad Sets the only difference is the bidding option I chose. For the (Lookalike) leadpages Ad Set I chose “Link Clicks to Website/Pay per Impressions” and for the (Lookalike) clickfunnel Ad Set I chose “Impressions.” Since the (Lookalike) leadpages Ad Set was performing a little better I ended up turning off the other and continuing with just that one. Now I will scale this Campaign to see if we can maintain this CPL at scale! I scaled the ad spend and the results are in! I decided to bump the (Lookalike) leadpages Ad Set up to $20 a day and run it for a couple days like this. It was getting me the highest CPC so I figured it would do best at scale. Here is what things look like! The new CPL at scale is $0.91! We are generating leads for under a $1 each! Well below the goal of $1.25 each. Besides just the CPL dropping some of the ads CPC came down as well. Towards the end of the second day I completely stopped running the “Follow” ad. The CPC was much higher and the other ad was performing much better. There are a few reasons I think my CPL came down once I started to scale. Better Algorithm Data: For this ad set my targeting goal was “Link Clicks to Website/Pay per Impressions.” This means Facebook is going to try and show my ad to those most likely to click it because they know this is my goal. As more people click the ad Facebook can better learn what people are interacting and serve your ad to a more dialed in prospect. Increased Conversion: The landing page conversion rate went up. Now that the CPL was all dialed in on my ads I knew I needed to put together my full tripwire funnel and autoresponder campaign. 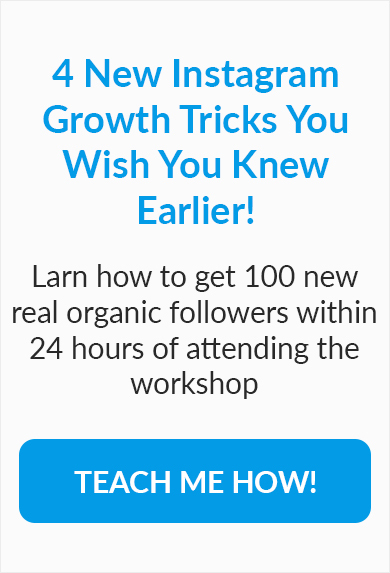 First I created my tripwire product, the “Instagram Growth System.” Its a short execution plan of step by step techniques to grow your Instagram following by 10,000 followers in 30 days. This is a full course but contains a lot more than a typical blog post. The goal was to create a piece of content that provided HUGE value at a $7 price tag. Then I qued up a 3 day autoresponder to go out to those who did not purchase! After 24 hours, and about $30 in ad spend, we have 4 sales! This almost completely offsets my ad spend. After the Autoresponder emails start hitting people over the next few days I am confident it will exceed the ad spend. This will make it easy for us to scale these ads to any monthly Ad spend we want. I cant wait to update you all on how it goes over the next few days! Feel free to leave any questions about this in the comments. I only touched on the major points. Here is an update on the current numbers! All these stats are refreshed numbers starting at the lunch of the full funnel including the tripwire offer. Implement “Dayparting” an Adespresso feature that allows you to run your ads during the historically highest performing times. If you were following along in real time, you know the updates slowed down quite a bit. I was getting really excited because I saw that I could easily meet the goal of 2,000 beta sign ups by the 31st. In order to hit that goal, and test scaling even more I cranked the budget up on my ads even more. I adjusted to spend $75 a day for the remainder of the month. I figured this would give me 80+ sign ups a day and allow me to hit our goal without problem. After a day, my ads stopped be served. I mean 0 additional impressions. I thought maybe I needed to tweak my audience, freshen things up a bit? I spent 4 to 5 days tweaking and waiting to see if anything delivered impressions. No Luck. I reached out to Facebook support at that point (which is notoriously slow). That began the waiting game for them to respond. During that time I started to wonder if Facebook throttled my account for some reason. So I qued up the same ads with the same audiences on another Facebook Ads account I have. So I knew Facebook was throttling my ads account for some reason. However I still had not heard from support. When I finally heard from them, they insisted that I was not being throttled and the girl I was talking to unfortunately did not know a lot about the platform. Pretty much a call center employee with a knowledge base she could access. The day after my phone call with support, my ads miraculously started getting impressions and I have not had any problems since. Unfortunately that was on the 31st so my time was up but we still learned a ton about Instagram ads in this case study and I am glad that we are back in business!